We held our Lalocura tasting dinner on Monday March 18th at Popol Vuh which included a welcome cocktail, 5 rounds of tastings and dinner. Ben Scott, the US importer, for Lalocura mezcal and mezcal Mal Bien presented us with an Espadin, Tobala, San Martinero (Barril), Tobasiche and a Pechuga. 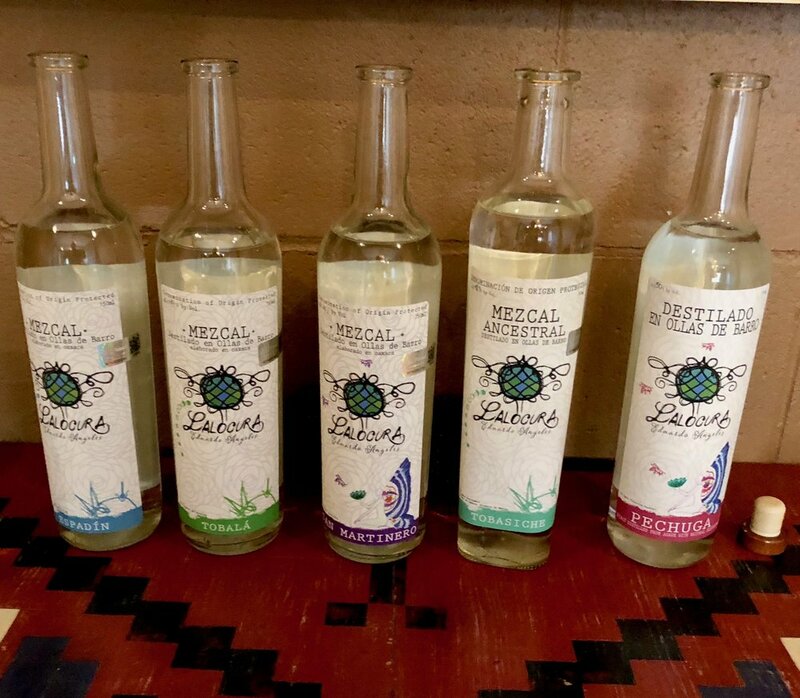 Ben provided a wonderful journey through the process that Lalocura uses to create and maintain his ancestral mezcal line. Fermentation: One of the following; stone, earth, wood, clay, animal skins. Agave fibers must be included. Distillation: Must happen with direct fire on a clay pot still. Agave fibers must be included. Currently, Minneapolis has very few ancestral made mezcals. Off the top of my head, I can think of Vago Ensemble and this brand. I love this line, so please look for it or ask for it at your local liquor store or stop into Popol Vuh & Centro to sample it.